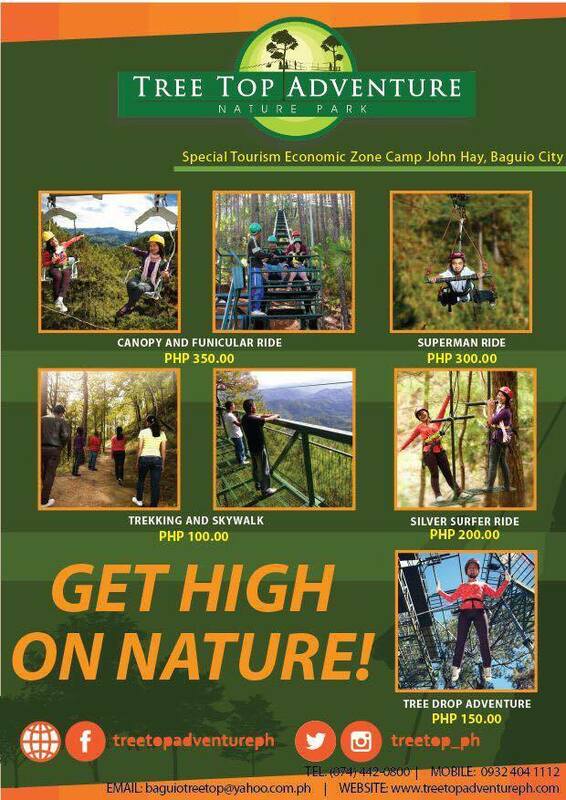 The vision came from the expertise of the owner of Tree Top Adventure who are Engineers and advocates of conservation of environment and healthy living thus Tree Top Adventure in Subic inside SBMA and Baguio inside Camp John Hay are making sure not only for the customers to enjoy but also making sure the safety and health benefits of the activities they are offering for the customers. 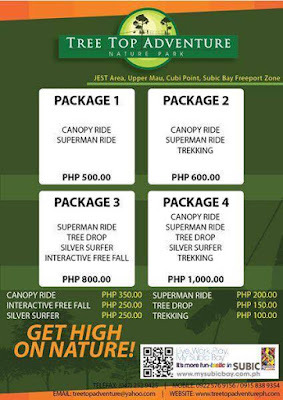 There is no entrance fee at Tree Top Adventure, you will only pay the activities you like to enjoy unlike other theme parks and very affordable. Zip lines fee per ride cost from Php 100.00 to Php 350.00 and can have a huge discount if will take a package instead with a combination of activities. "We invite you to experience nature tripping from a breathtaking view – from 100 feet above the ground! 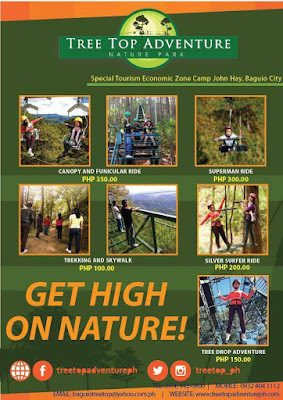 With jungle trails comprised of platforms nestled on branches, suspension bridges, and the world’s first motorized canopy tour, what we offer is more than just the peak of excitement. Learn new things. Find inner peace as you go through a natural sanctuary hidden by foliage. Or at the very least, conquer your fear of heights. 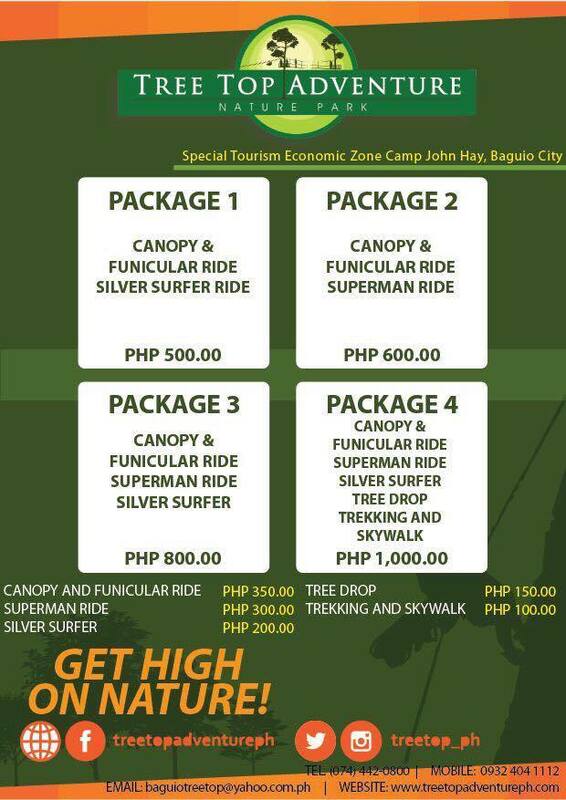 Tree Top Adventure offers each one a personal journey, with unforgettable memories as dense as the forest that you won’t help but feel closer to the ones you take this most marvelous trip with." For more information about bookings and entrance, please contact Engr. Grace Bondad Nicolas at 09166299381 or send email to grace@tagmedia.asia.